The Wintersmith Park Historic District, known locally as simply Wintersmith Park, is a historic district located at 18th Street and Scenic Drive in Ada, Oklahoma. The park includes a lake, a lodge, bridges, trails, courts and a public amphitheater. The area is listed in the National Register of Historic Places.The park is named for Frances Wintersmith. The park now features the new Wintersmith Aquatic Center. The new sports complex is also set to open in 2017 with a full Spring and Summer schedule girls T-ball through 12U softball. The recreation department also takes reservations for the historic Wintersmith Lodge. For questions about reserving the lodge, please call (580) 436-6300. 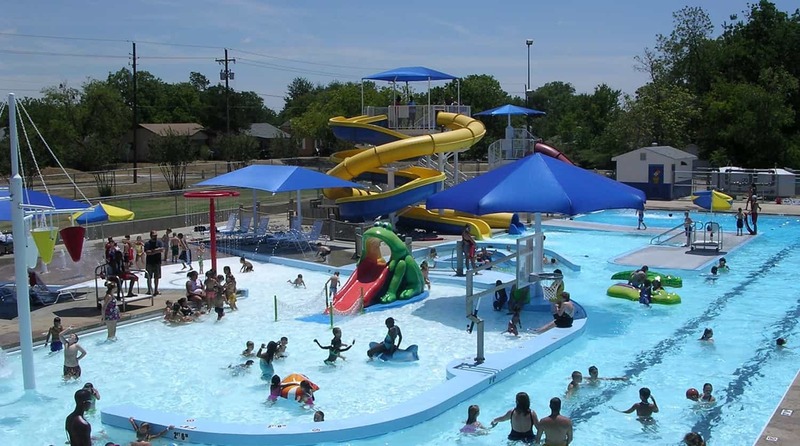 Wintersmith Aquatics Center Watch the new waterpark video now!